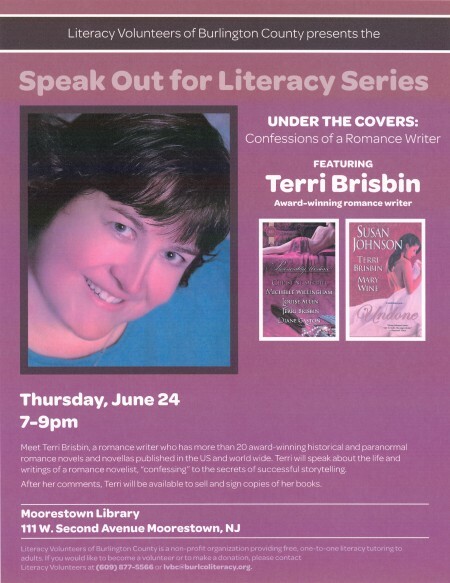 Speak Out for Literacy – Thursday, June 24! June 19th, 2010 by Terri Brisbin & filed under The Herald's Call | Comments Off on Speak Out for Literacy – Thursday, June 24! I’ll be the featured speaker next Thursday — if you’re in the Moorestown, NJ (that’s in southern NJ! ), please stop in and say hello! Chocolate will be available….